Google’s team ATAP has made official the previously rumoured Project Tango Tablet with its new Project Tango Tablet Developers’ Kit. The kit has the capability of what could make a promising 3D sensing computer vision device. But what will it be used for? That question is yet to be answered and is the reason why this device is going to be provided to developers first and foremost. The Project Tango Tablet features 1080p display, 4GB of RAM, 128GB of storage, USB 3.0, micro-HDMI and runs Android KitKat (stock) out of the box. The development kit will also include a motion tracking camera, integrated depth sensing camera, Wi-Fi, Bluetooth LE and 4G LTE (based on region and carrier). 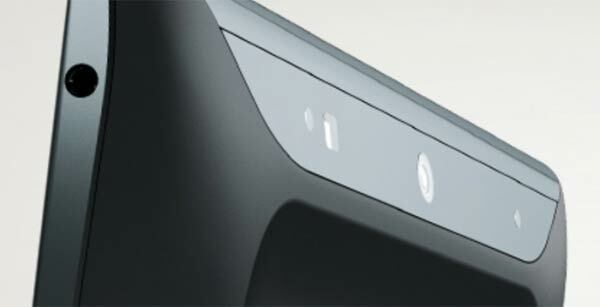 The two cameras and depth sensor on the back of the tablet is what achieve the 3D mapping within the device. One camera can track motion broadly with a 170 degree fish-eye lens whilst the other has a 4MP sensor with two-micron pixels which can offer high light sensitivity with faster speeds. Keeping in mind that the slate is “not a consumer device,” Google also states that it will be available for $1,024 (around £600). Those attending Google I/O will have the first chance of getting their hands on one. Developers can now sign up to get notification of when the tablets are available, with pre-orders expected to go on later this month. According to Engadget, Google is aiming to spread the tablet out to a wider range of developers, unlike the Project Tango smartphones, where only 200 units were distributed back in March.